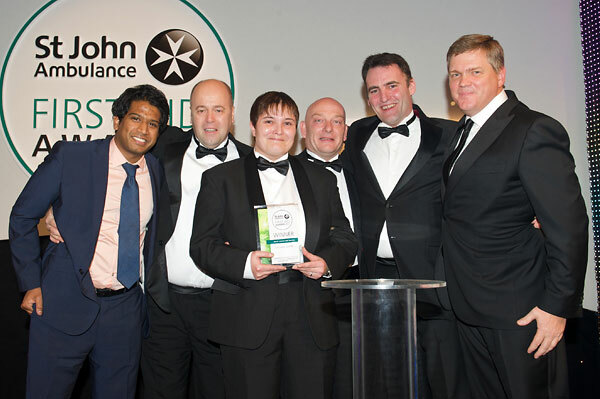 On Monday night Ray had the honour of hosting the 2012 St John Ambulance First Aid Awards, a ceremony which looks to celebrate the amazing and brave actions of organisations and individuals who have demonstrated their first aid skills in extraordinary circumstances. 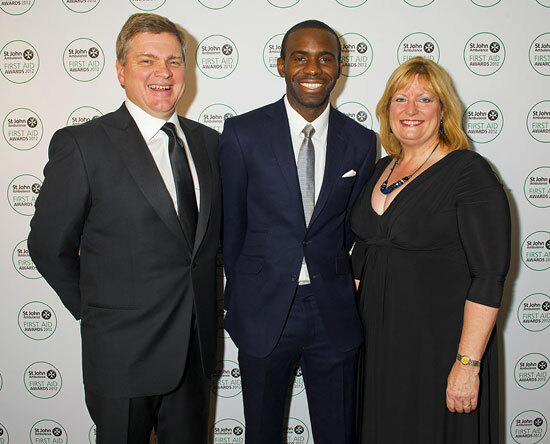 Ray was joined at the black tie event by other well-known personalities, including Duncan Bannatyne, Fabrice Muamba and Fiona Phillips, who helped to present the awards to some extraordinary individuals and teams whose bravery and quick thinking were celebrated by the ceremony. Ray was thrilled to once again be part of the St John Ambulance First Aid Awards and encourages everyone to learn the life-saving skills of first aid. If you are interested in learning first aid, then please have a look at Woodlore’s range of first aid and medical courses; spaces are currently available on our Emergency First Aider and our Wilderness First Aid courses, which will be taking place in 2013 – book now to secure your place. This entry was posted in Bushcraft Courses & Expeditions, Ray Mears on November 26, 2012 by Woodlore Team. A brilliant cause. It’s really great how Fabrice Muamba is raising such awareness for First Aid since his ‘experience’.